Learning English video lessons that inspire! Welcome to TED Talks learning English video lessons! These lessons are based on TED Talks. 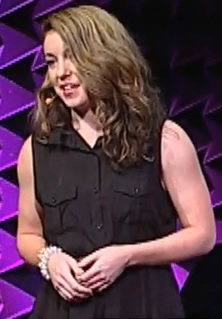 I love watching TED Talks and I hope you'll love them too. I think they are an excellent way to learn and practice English. The presenters are often fascinating people. The topics are diverse and interesting. The guests speak in normal, everyday English. Many of the talks are translated into different languages. Are you beginning to see why this particular English video option is so valuable? This is easy. Simply click on the learning English video lesson for the talk you are interested in watching. Then test your listening comprehension by taking a short quiz. If you need extra support, you can read the transcript of the talk or watch the video with subtitles (in English and often in other languages as well). Last but not least, take part in the discussion by leaving your own comments! Oh, and don't forget to come back next TUESDAY for another interesting lesson. Or sign-up for my free newsletter to get updates twice a month on new additions, (including TED Talks) to this site. 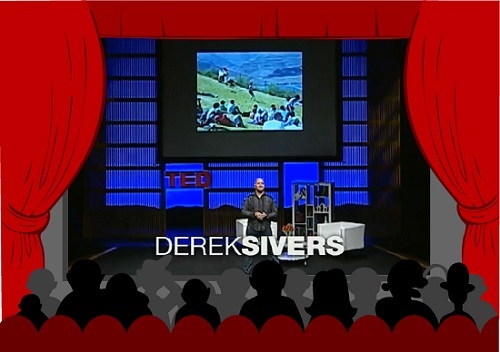 In just more than 3 minutes, Derek Sivers explains step-by-step how to start a movement. Starting from one "lone nut" to a rousing group of followers, Derek's analysis of the process may surprise you. Hannah Bechner explains how she made a crazy promise on the internet to send a hand-written letter to anyone who asked. In today’s fast-paced world of emails, text messages and tweets, letter writing is almost a lost art form. In this short video, Hannah explains the reasons why she reached out to strangers through writing letters. Put on your scuba diving suit and mask and get ready to dive deep into this learning English video! It's difficult to believe that 97 percent of the ocean has not been explored. Man has only see about 3 percent of the ocean but what has been found is truly astonishing. Watch this video to see some incredible sea creatures. 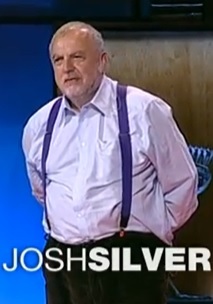 Almost half the people in the world need corrective eyewear and Joshua Silver’s helping to solve this problem with self-adjustable eyeglasses. The lenses are filled with liquid and wearers get the correct vision strength by adding or removing fluid from tiny syringes on each arm of the lenses. 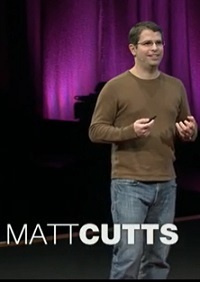 In this short learn English video, Matt Cutts challenges us to try something new for just 30 days (the amount of time to form a habit). Starting with a simple 30-day challenge to take a picture each day he later found himself on top of Mount Kilimanjaro and with a new way to describe himself (a "novelist"). 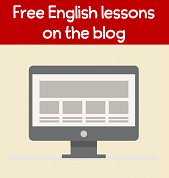 This lesson offers readers a chance to learn 10 important idioms and phrasal verbs. Soon after quitting his job and starting his own company, Jia Jiang was rejected by a business investor and the future of his company was in jeopardy. Like most of us, he felt terrible. But unlike most of us, he decided to do something about his fear and started "Rejection Therapy," a game where he had to be rejected by a person on 100 different days. 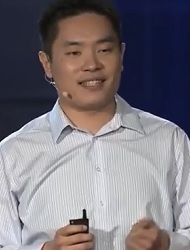 Jia Jiang is a lovely speaker with a message that just may help you too if you are afraid of rejection. Candy Chang is an artist, designer and urban planner. She looks at how to make cities more comfortable and thoughtful places. In this project, she transformed an abandoned house in her neighborhood into an interactive wall where people can share their hopes and dreams. This is such a creative and thoughtful project. Joe smith is an advocate for proper paper towel use. Most people use several paper towels to dry their hands and this is bad, bad, bad for the environment. 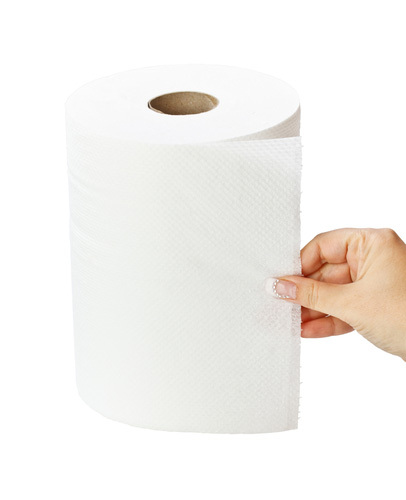 You've probably seen people grab 3-4 paper towels in public restrooms (that is, if they wash their hands at all...). Perhaps you're even guilty of this behavior yourself. Well, don't despair. In just 4:32 minutes, Joe Smith will share his perfect technique for drying your hands with just one sheet of paper. Cameron Russell is a model who has appeared in fashion magazines like Vogue and walked runways for famous designers and brands including Victoria's Secret, Versace, Benneton and Chanel. But is she more than just a pretty face? Watch this learn English video to find out her thoughts about the power of looks, image and the legacy of beauty in society today. Aimee Mullins' legs were amputated (surgically removed) when she was a baby so she learned to walk on a prosthetic legs. She later learned how to run so fast that she competed as an international-level sprinter and set world records at the 1996 Paralympics. Aimee has worked as a model and actor too. 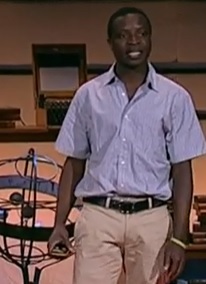 At 14, William Kamkwamba didn’t have the money to go to school but that did not stop him from getting an education. Reading books from the library and using scrap materials, William created a windmill that pumped water and produced electricity. His courage and determination will surely inspire you in this learning English video lesson. 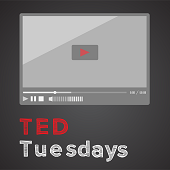 If you haven't heard of TED Talks before, here is some background information. It all started back in 1984 when a group of people decided that they might be able to change the world for the better by spreading ideas. Ideas have the power to change people's attitudes and therefore their lives and this in turn can change the world. The group held a conference where inspiring people from the fields of technology, entertainment, design came together and gave brief (less than 18 minutes) speeches. TED Talks was started as a way to share what happened at the TED conference with the rest of the world. 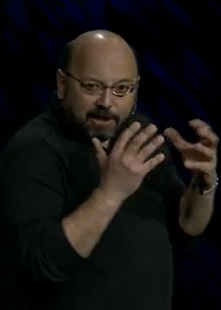 As you can see, TED is an acronym for technology, entertainment and design. Talk is a synonym for the word speech. Put the two together and you get TED Talks. Since the first conference, the range of topics became broader and now there are more than 1500 TED Talks available for viewing. New videos are added each week. My primary goals with these learning English video lessons are to provide a chance for my visitors to practice their listening skills, learn new vocabulary and expressions, and practice writing by discussing the video with others here on this website. It's very easy for language learners to sit back and read or listen to English. Someone else produces the English and learners get to try to interpret the language. It is far more difficult to create your own English. Learners constantly ask me for ways they can practice and these learning English videos are one great way to practice. So I hope you will join in and have the courage to leave some comments!